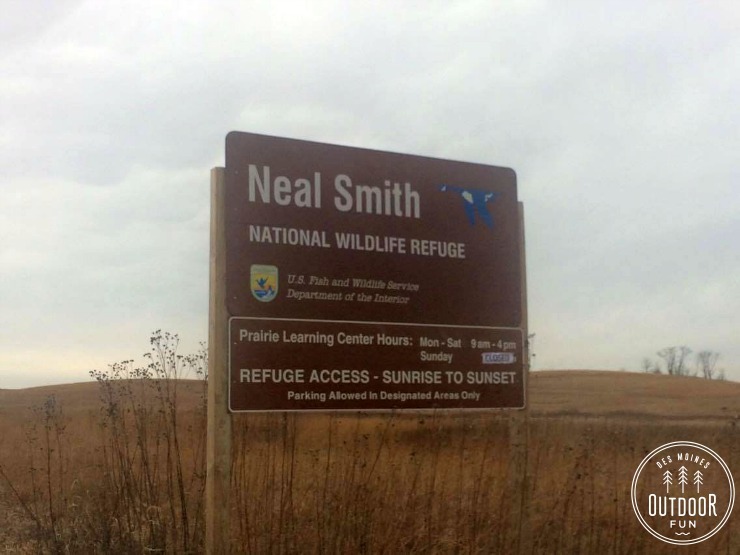 If you’ve driven on I-80, you’ve probably seen the big brown sign for the Neal Smith National Wildlife Refuge and Prairie Learning Center. 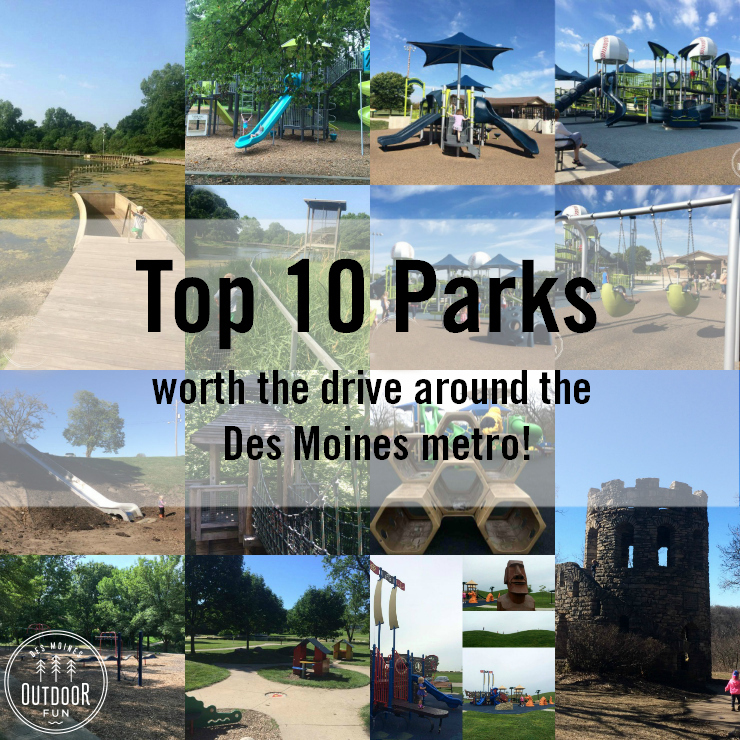 This is a little bit out of the way, technically I think the address is Prairie City, but it’s worth the drive! 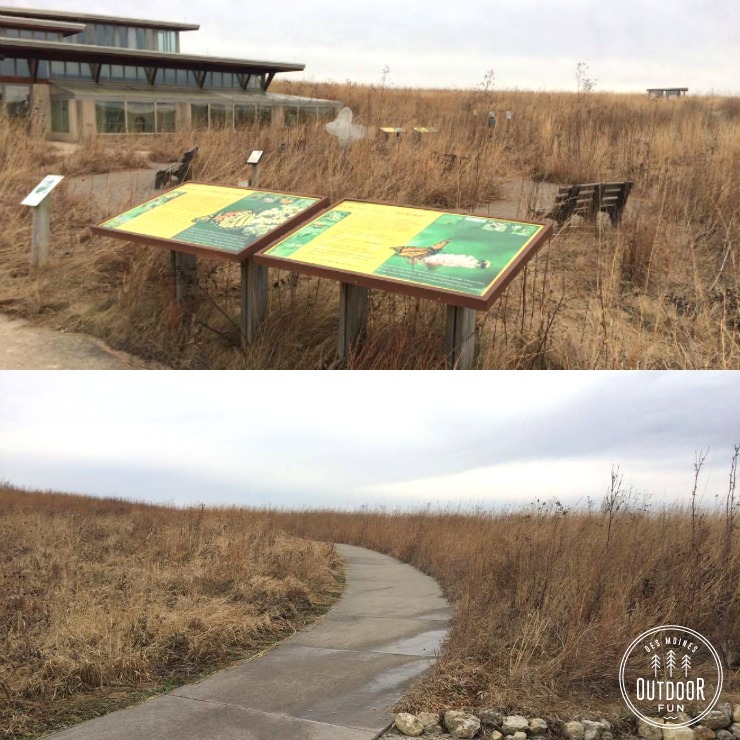 There are several miles of paved trails amidst the prairie and alongside the buffalo/elk enclosure, in addition to a drive-through buffalo/elk area, and a large, indoor Prairie Learning Center. 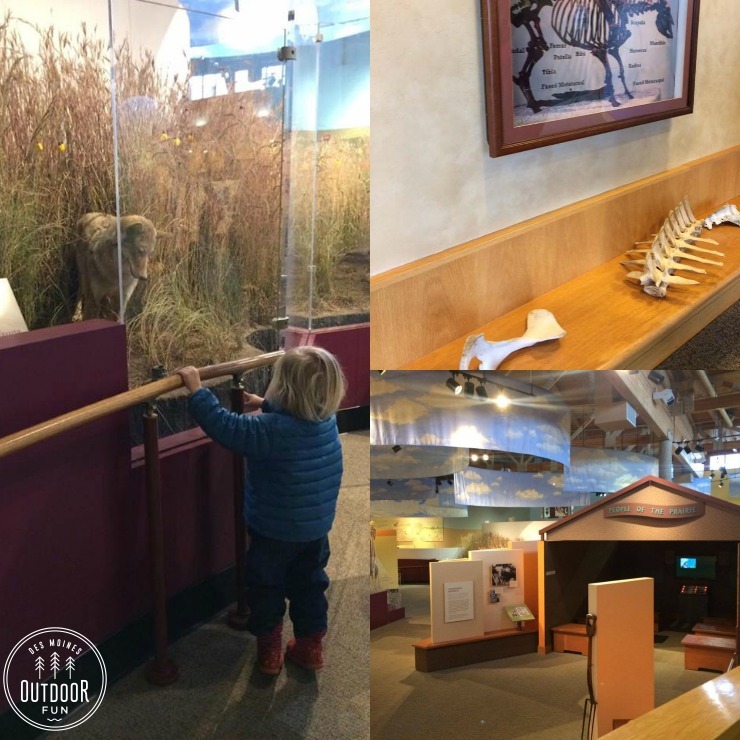 We opted to go and check out the PLC on a cold January day – it’s free, has lots of open room to run, and some really cool, interactive displays for kids to check out. My son is 4 and my daughter is almost 2 – but I think any walking toddler would be amused! 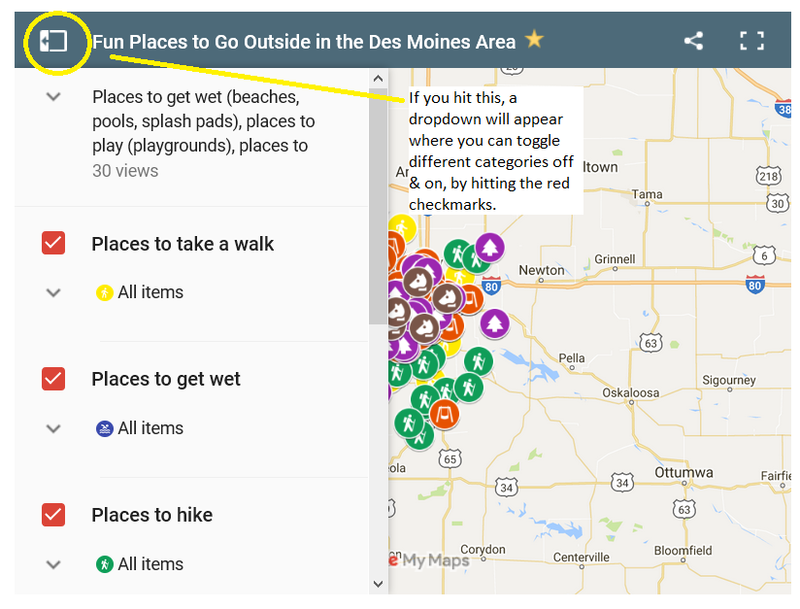 You can see more specific details on the Neal Smith National Wildlife Refuge page or check out its location on the interactive map. My GPS takes me the back way from the west side, it feels like you’re in the middle of absolutely nowhere until you finally turn on to a paved road and then see this sign. As you drive further, you’ll see another sign that shows the PLC is straight ahead and the auto-tour is to the left. When you park and pull up, the PLC is impossible to miss and then there are some informative signs to your right, where the trails all start. 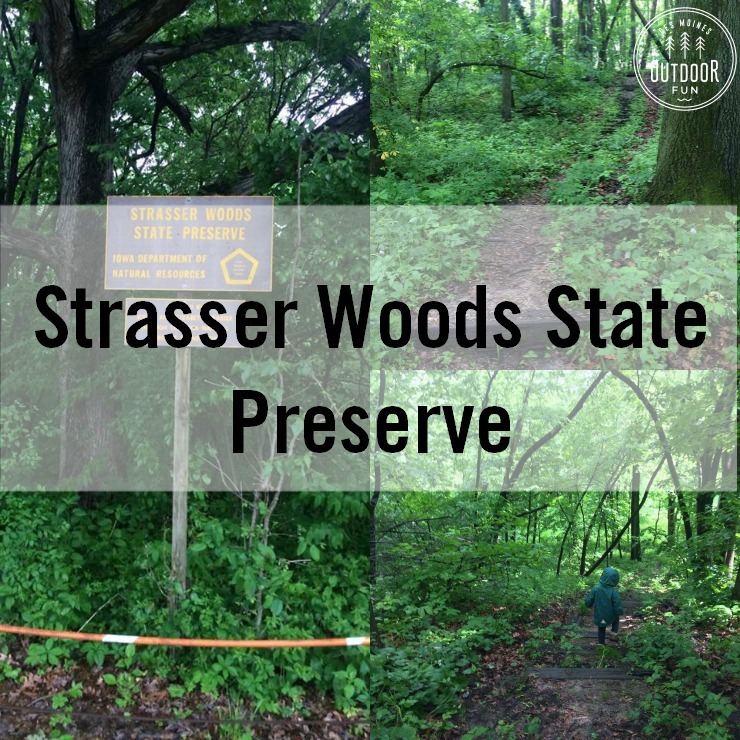 You can see a covered kiosk-y type building off to the far right of the top picture, that is where the below trail map is. 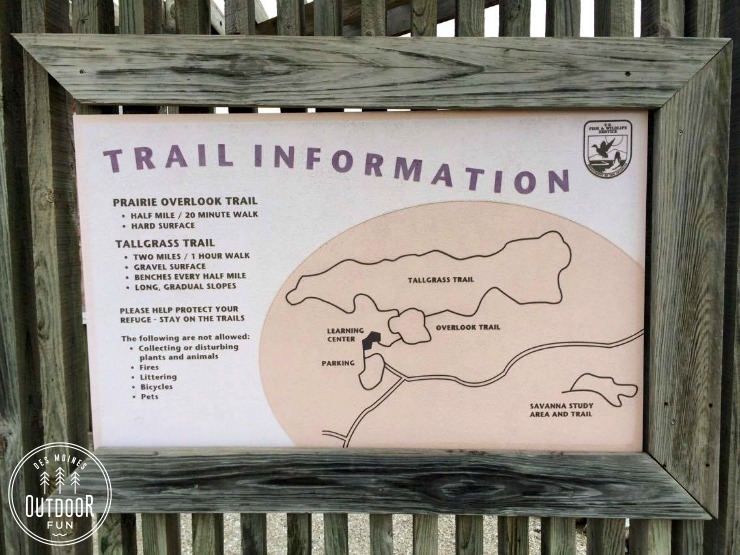 I have walked the Tallgrass Trail on a Hike It Baby hike before, and I think it is a *long* two miles. There is no wind or sun cover – so keep that in mind if you’re visiting. 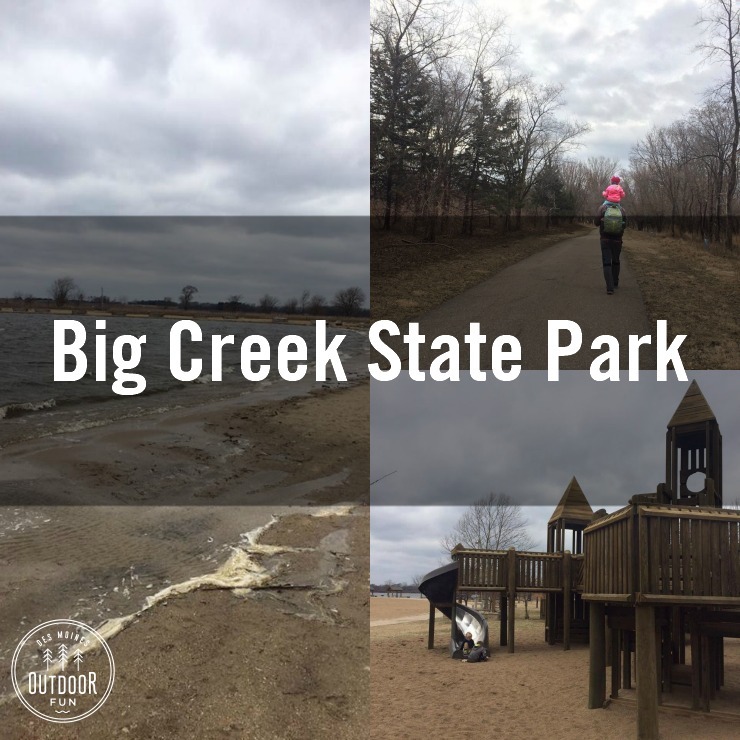 It was pretty icy on the day that we went, so we didn’t get far, but I appreciate that it’s paved and accessible for everyone. At the middle of the far side on the Tallgrass Trail, you can often see the buffalo up close through the fence. When you walk into the PLC, there are nice bathrooms, a guest desk with maps and lots of information, a gift shop, and lots of places to explore. 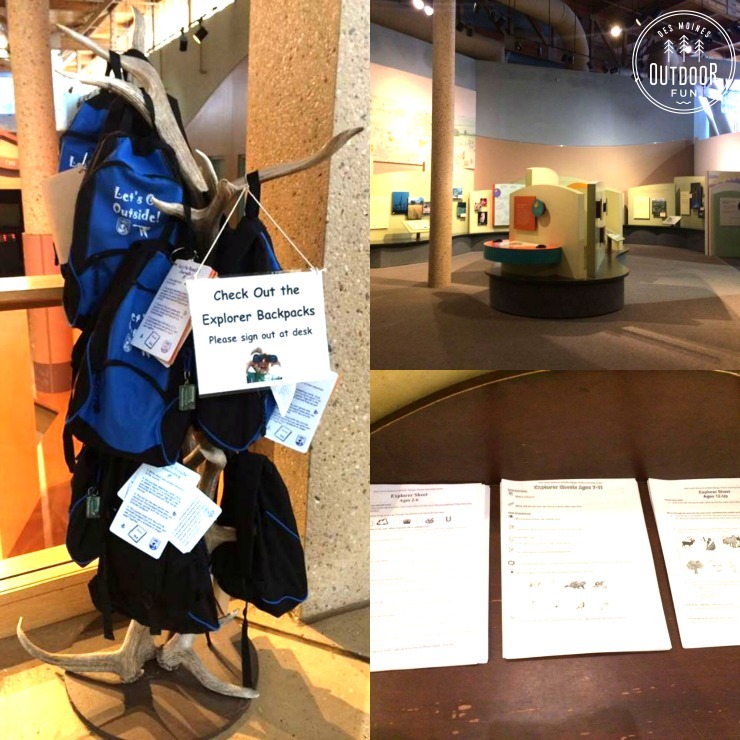 I didn’t take pictures of everything, but above you can see some of the learning opportunities – scavenger hunts for different age groups, explorer backpacks with different topics, and some of the exhibits. I know they rent out snowshoes (free!) for hikes when there is enough snow, too. 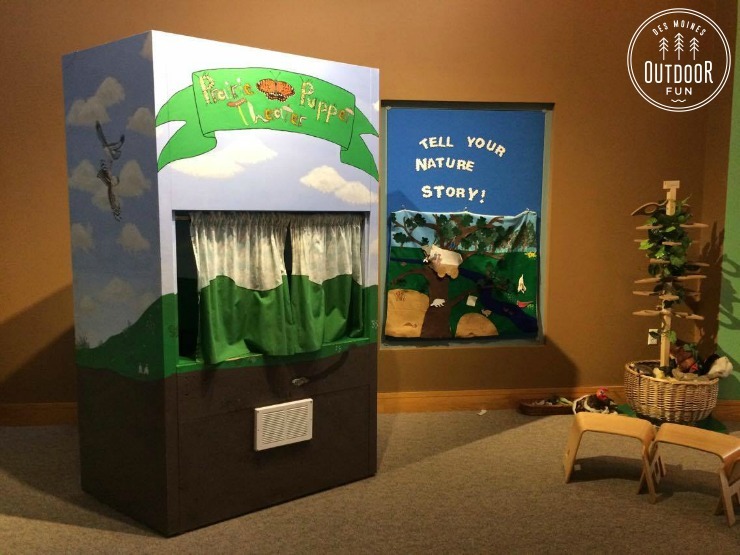 This little puppet theater and felt board area is so cute, my kids loved playing in the puppet booth. 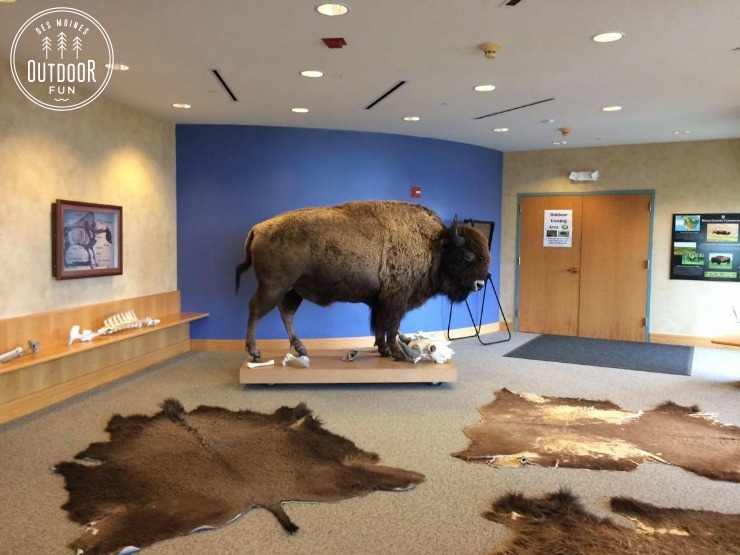 This large room with a stuffed buffalo is a big draw, there are lots of pictures, facts, bones, and skins to investigate alongside a huge picture window overlooking some of the prairie. You can see the bones better there, along with one of the other taxidermy displays, and other exhibits. 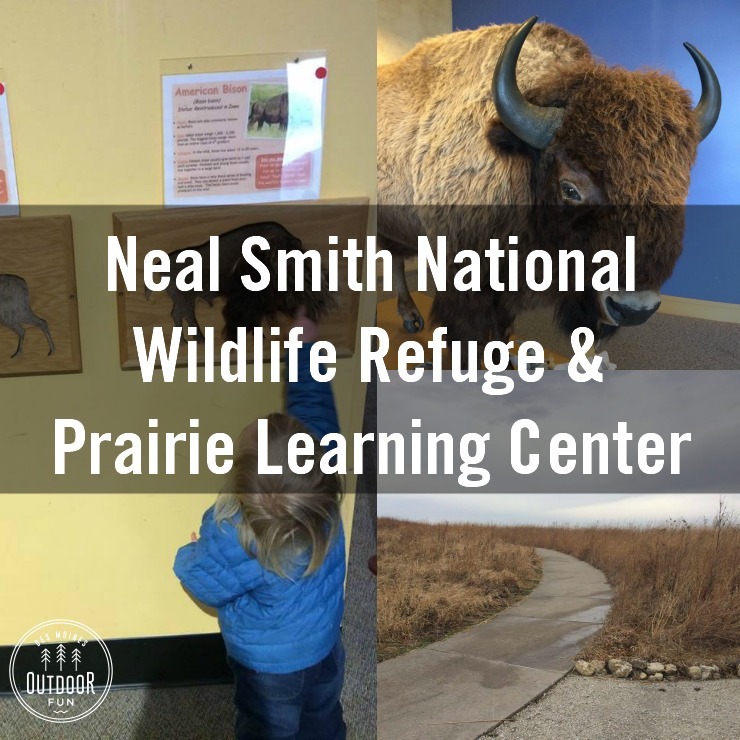 There are several little spots with mini videos, and then there is a main theater that plays a 15 minute video talking about the importance of reintroducing prairie to the environment, the refuge’s past and goals, etc. 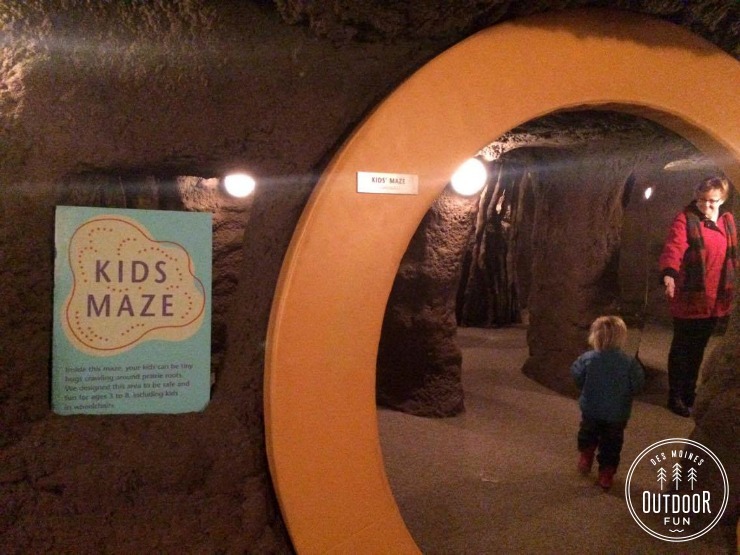 My kids are both intimidated by the kids maze (there is a HUGE badger statue/head right inside the door), so we haven’t explored it too much but it looks cute! Another neat opportunity is being able to peek into their research lab. 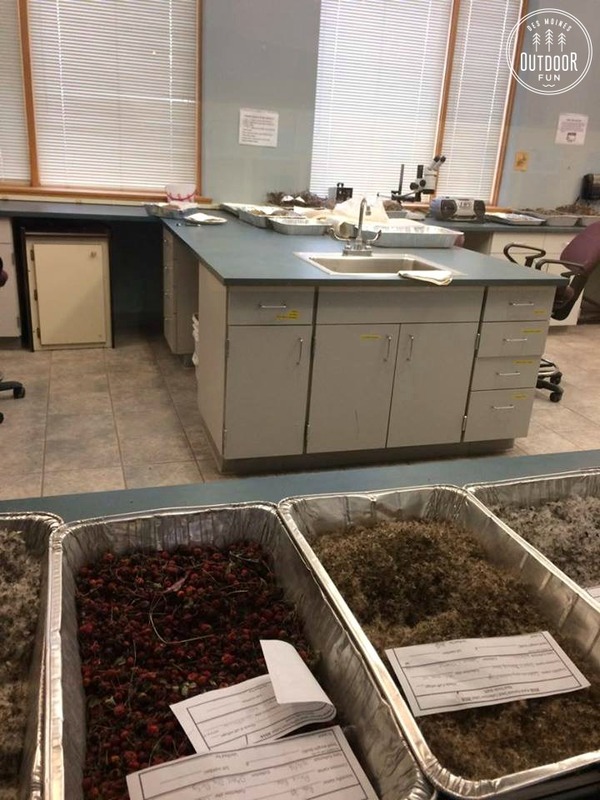 Last spring we volunteered to help spread seed – my kids loved throwing all this stuff around in the fields! This is a shot of the drive through enclosure – there are cattle gates on either end. 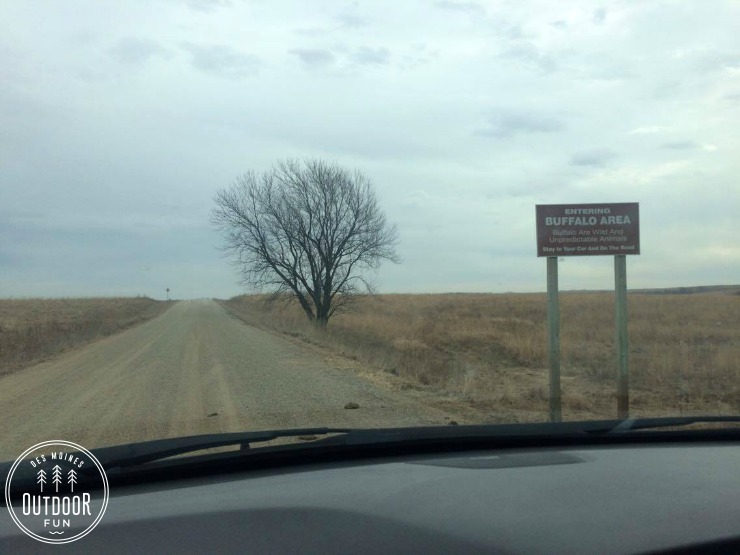 Unfortunately, we didn’t see any buffalo! They must have been hunkered down somewhere, hiding from the wind. We’ll come back once its warmer and try again for sure. 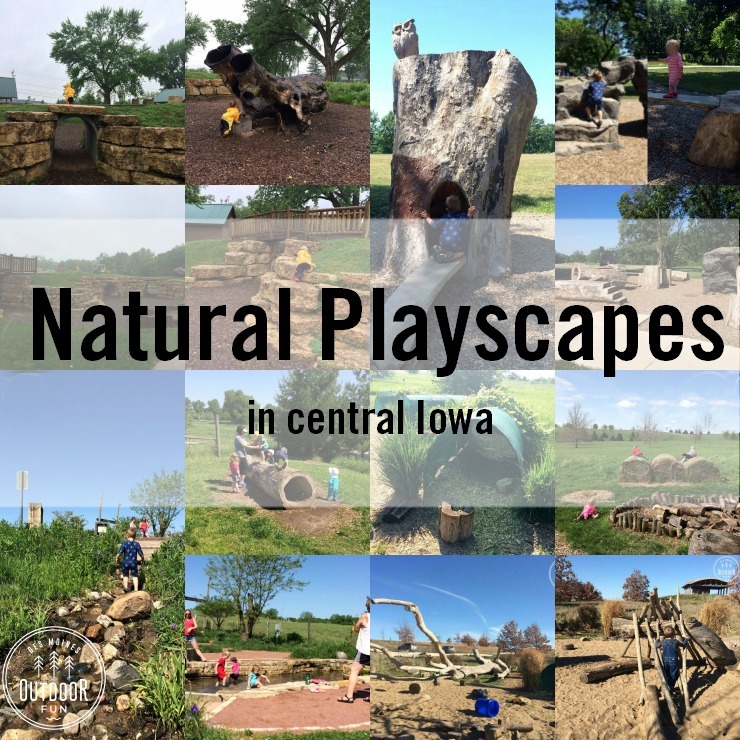 I bought some super fun Iowa pocket guides to birds, mushrooms, snakes, and plants in the gift shop; they had some cool nature toys, lots of tshirts and stuffed animals, and tons of books. 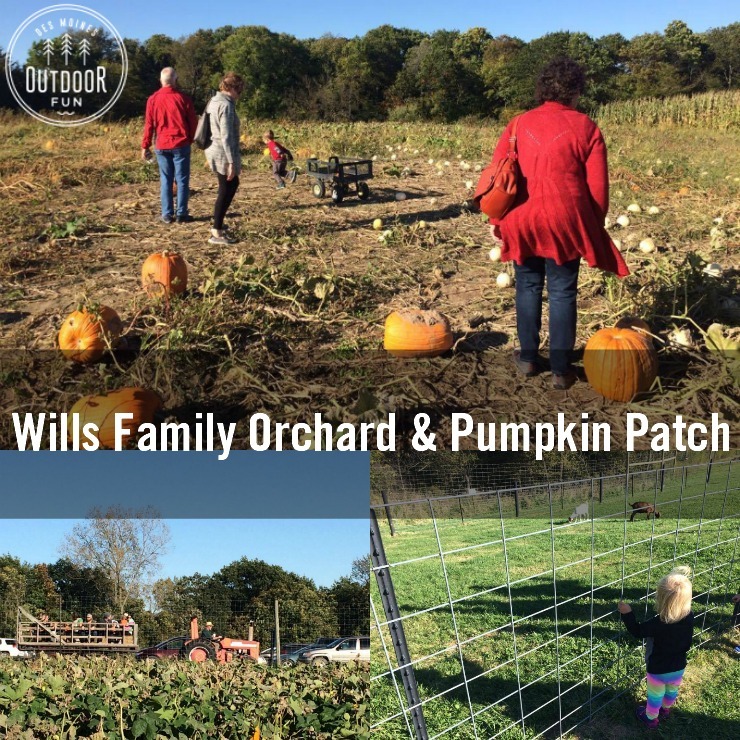 Their education department hosts regular classes and events for all age groups; I always add them as I see them, in my newsletter and on the local events page!